WTI Crude Is In A Holding Pattern Following Today's EIA Inventories Report. 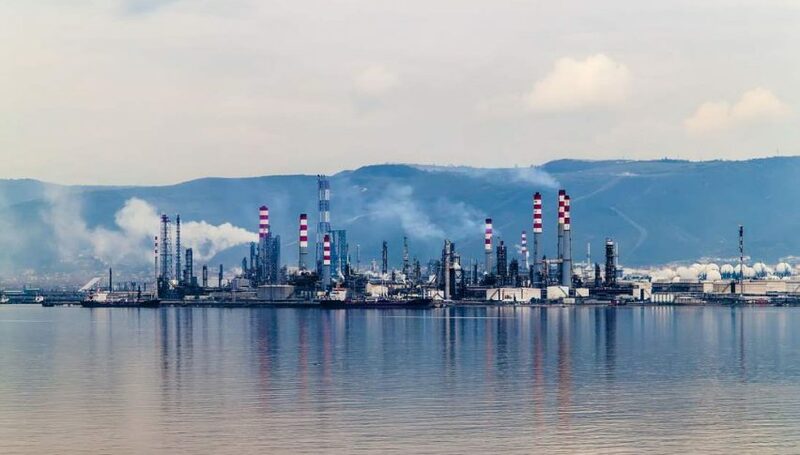 May WTI crude oil futures have entered a consolidation phase between $65.00 and $64.00. Following a sustained Monday rally, prices appear to have found a home just beneath the key psychological level of $65.00. The weekly inventory cycle has done little to change this dynamic, with May WTI putting in an exceedingly tight daily range. A good portion of the time, price action does not reflect the inventories figures. However, this week things are intuitive ― supplies are up and the bullish trend has momentarily ceased. 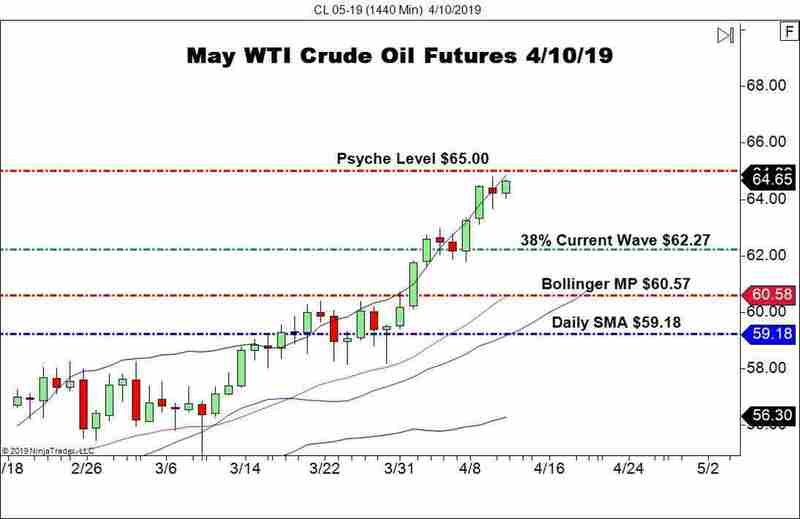 The technical outlook for May WTI crude oil is simple: the trend is up and $65.00 is a major area of topside resistance. Bottom Line: May WTI has given us several great chances to buy dips. In my opinion, this is an ideal way to trade crude oil until the beginning of June. Perhaps the builds in supply reported in this week’s inventory cycle will prompt another buying opportunity. As long as the Swing High of $64.79 remains the upper extreme in this market, a long from the 38% Current Wave retracement isn’t a bad way to play the action. Until elected, I will have buy orders queued up from $62.31 in May WTI crude. With an initial stop at $61.89, this trade produces 35 ticks on a sub-1:1 risk vs reward management plan.